We have been growing this hulless oats for a few years now and it is vigorous and productive. However, we find this one to be rather difficult to process down to the naked seed. This oats is therefor more suited - for those of us without special equipment - to use as a cover crop, or herbally as 'milky oats' (harvested when the green seed exudes a milky liquid when sqeezed). Plant 2.5 cm (1 in) deep in early May. 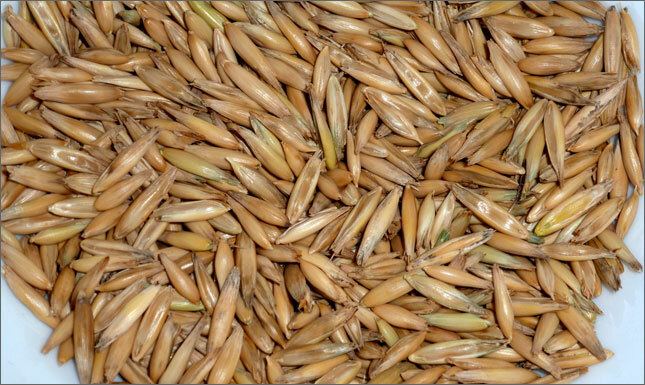 Harvest for seed in early September, when the heads turn from green to tan - the seeds do not need to be completely dehulled to be replanted for another crop. Oats will not survive a prairie winter.